youth | What's with the Climate? IYCN Meets Infosys Chairman & As Important: Each Other! The third day of Indian Youth Summit on Climate Change may have been a torrential downpour, but it was no damper on the mood of the participants, who had another incredible day of discussions, including a discussion with the former Chairman and Founder of Infosys Technologies Limited, one of the world’s largest IT companies (90,000 employees!) which has been the generous host of the summit. Participants also had a chance to get to know each other a lot more during state breakout sessions, runs through the rain, and heated debates about how best to address climate equity. Narayana Murty, Founder, Chairman & Mentor of Infosys with IYSoCC delegates supporting climate action and 350 ppm! The day began with a presentation by Gaurav Gupta of The Climate Project – India, which called for the youth to evaluate some of the hardest moral issues with regards to who should be bearing the costs of climate change adaptation and mitigation in countries like India. 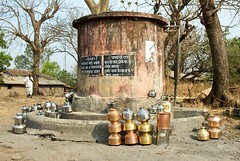 While India is suffering the largest impacts of climate change and is one of the world’s largest emitters of climate change, it has one of the lowest per capita levels of greenhouse gas emissions and must be allowed to develop to a higher level of per capita emissions, as developed nations must decrease their per capita and absolute emissions drastically. He also said that just as industrialized nations should be taxed based on their carbon emissions today, they should also be taxed for historical emissions, as the wealth of Europe and the United States is built on years of carbon emissions for which they were not charged. The morning’s presentations also included presentations by Tapati Ghosh of Center for Social Markets and Brikesh Singh from Greenpeace India. Ms. Ghosh spoke about CSM’s projects to raise awareness about climate change, including the City Dialogues on Climate Change and Climate Challenge India, which received an award at the United Nations Climate Conference in Bali in 2007 as one of the world’s top five climate programs. Ms. Ghosh said, “Climate Challenge India seeks to build a new climate of hope and opportunity on climate change.” Brikesh Singh of Greenpeace India spoke about Greenpeace’s initiatives for grassroots action on climate change, and said, “If we need to fight climate change, we – tomorrow’s future – need to create a revolution today. IYSoCC is just the beginning.” Anugraha John and Digu Arachamy, both members of IYCN and organizers of IYSoCC spoke about climate change and impacts on water and agriculture, respectively. Mr. Narayana Murthy, co-founder, non-executive Chairman and Chief Mentor of Infosys Technologies Limited, spoke to the Indian Youth Summit on Climate Change delegates this afternoon about climate change and the power of youth to make a change. He encouraged all of the delegates to lead through their own examples, to walk the talk with regards to conservation of resources. “I have always believed that the most powerful instrument that a leader has is leadership by example.” He was very supportive of the motives and actions of the Indian Youth Climate Network, and said, “We have a population of 650 to 700 million people under the age of 30. If we can mobilize this force, we will have enormous power for change to address climate change.” He also told us that he only uses half a bucket of water each day to bathe, putting water conservation into action. Youth from around the country discussed impacts in their own states, ranging from loss of glaciers and decreased tourism due to decreased snowfall in Himachal Pradesh, reduction in fruit production in Kashmir, to droughts and farmer suicides in Andhra Pradesh and Tamil Nadu. They also spoke about their solutions for their regions, including statewise support for subsidies on renewables, mandatory solar water heating and rainwater harvesting, and better educational campaigns on climate solutions. The most exciting part, of course, was the commitment made by individuals and by groups to take action when they do return home – to turn the words of the week into actions. The team from Delhi each committed to speaking at five schools or colleges to spread the message, and to meet in two weeks to discuss how to move the Delhi Charter on Climate Change into action. Representatives from Bangalore agreed to compile a database of all organizations working on climate and environment in Karnataka and have a meeting on August 23 to unite them. In Hyderabad, groups committed to tree plantations. 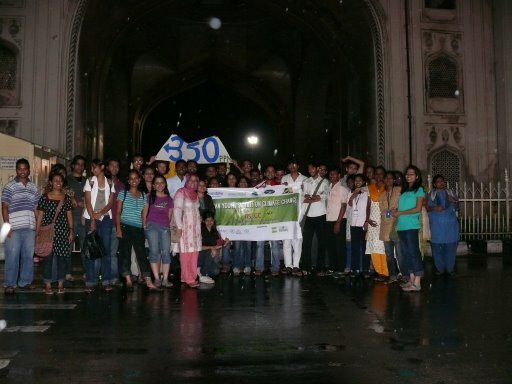 Many committed to share information and organize events for Project 350, an international grassroots movement to raise the number of 350 ppm as the international target for emissions. This has been identified as the only safe level of carbon emissions that will allow for a stable future climate, and is the base of international actions leading up to an international agreement for climate policy in Copenhagen at the United Nations climate negotiations in 2009. In the afternoon, a group of international youth organizers spoke about their experiences internationally. Deepa Gupta told of direct actions that were organized in Australia, including chaining activists to trees to prevent being cut down and the Youth Climate Action Camp which included hundreds of youth lying on railway tracks to prevent coal trains from reaching a new coal plant. Two students from Nepal spoke about the impacts of climate change in Nepal and the international youth movement’s actions there. Representatives from the United States spoke about the shift from fear-based to hope-based climate action and the campus based movements that spread across the country, including Nathan Wyeth from Sierra Student Coalition and Will Bates from Project 350. In particular, Mr. Bates highlighted the effectiveness of national days of actions, including Step it Up 2007, in which 1400 communities and campuses across the country in all 50 states held events to call for 80 percent reductions in carbon emissions by 2050. The official sessions ended with a painting session, with delegates painting canvases depicting their thoughts on climate change, impacts and solution that OxFam India will be bringing to this year’s international climate negotiations. The day ended with passionate discussions of climate equity and how best to address historical emissions, including questioning how colonial impacts, deforestation and land use change, and development pathways could be incorporated into such a tax. Tomorrow is the final day of the Indian Youth Summit on Climate Change, in which the Youth Declaration will be finalized after a few more working groups. 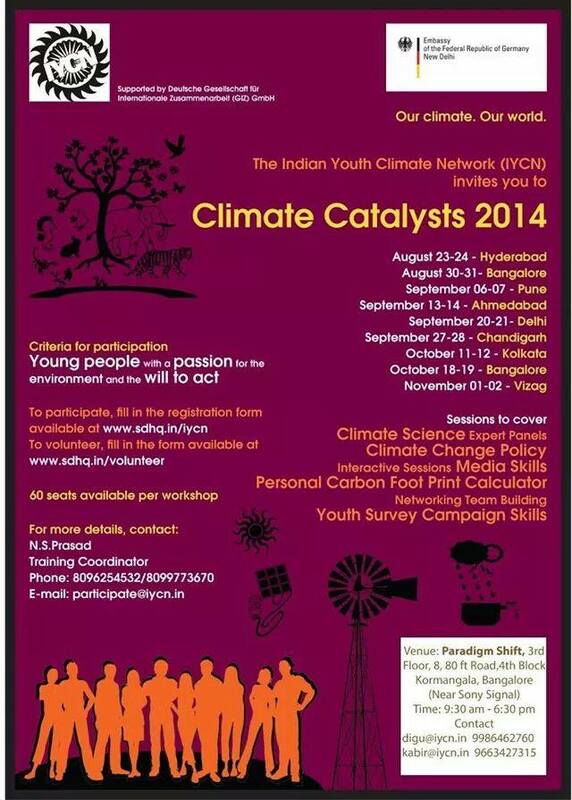 Categories: Events, Youth in Action | Tags: climate change, India, Infosys, IYSoCC 2008, youth | Permalink.